The Orion spacecraft is the successor to the now-retired Space Shuttle. NASA is planning to send astronauts on a first crewed flight aboard Orion in 2021. NASA’s Orion Spacecraft is destined to fly at the top of the Space Launch System (SLS). The Space Launch System will push Orion out of Earth’s orbit to reach the moon during its first test flight in 2018. The test flight is meant to check the spacecraft’s ability to accomplish future deep space missions. The SLS will be the largest, most powerful rocket in the world and NASA believes that it will eventually make a journey to Mars within reach in the 2030s. Recently, the pressure vessel or primary structure of the Orion space crew module made it to Kennedy Space Center in Cape Canaveral, Florida after leaving New Orleans…marking a step closer to the journey to the Red Planet. 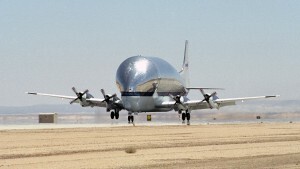 NASA used the massive Super Guppy aircraft to transport the Orion capsule. 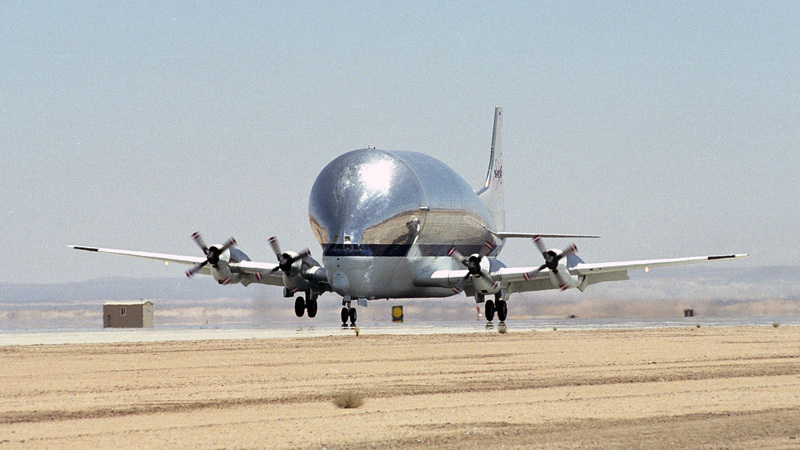 The Super Guppy aircraft has a wingspan of 156 feet, The cargo compartment of the jumbo plane is 48 feet tall and 143 feet long. It can carry more than 26 tons. 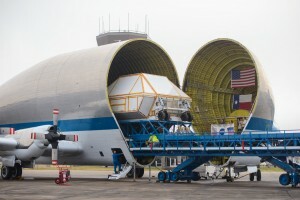 The aircraft’s hinged nose can open more than 200 degrees which allows the large spacecraft components to be loaded and unloaded from the front of the plane.